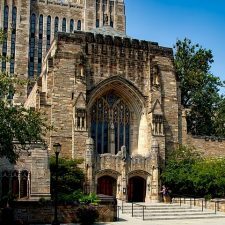 (Tyler O’Neil – PJ Media) In February, a group of Yale Law students invited a lawyer from Alliance Defending Freedom (ADF), a Christian law firm, to speak at the campus. The student LGBT group caused a ruckus and demanded the school yank all funds from students and alumni who work with organizations that “discriminate” against LGBT people. Yale caved in late March, and Sen. Ted Cruz (R-Texas) responded with a scathing letter threatening legal action.